HERAT -- Posters and murals with messages of peace installed in densely populated areas of Herat city are drawing the attention of residents and visitors. The internationally sponsored art began appearing throughout the city this year. The artwork shows the hope and desire of ordinary Afghans for peace, despite the Taliban's repeated rejection of the Afghan government's calls for peace negotiations. Looking at a painting with a message about peace, Amin Jan, 72, a Herat resident, said such images bring a sense of calm for someone like him, who has spent half of his life in wartime. "May God curse these suicide bombers and their explosions," he told Salaam Times. "We want peace. The Afghan people are devastated. We are very hopeful for peace and are tired of war." 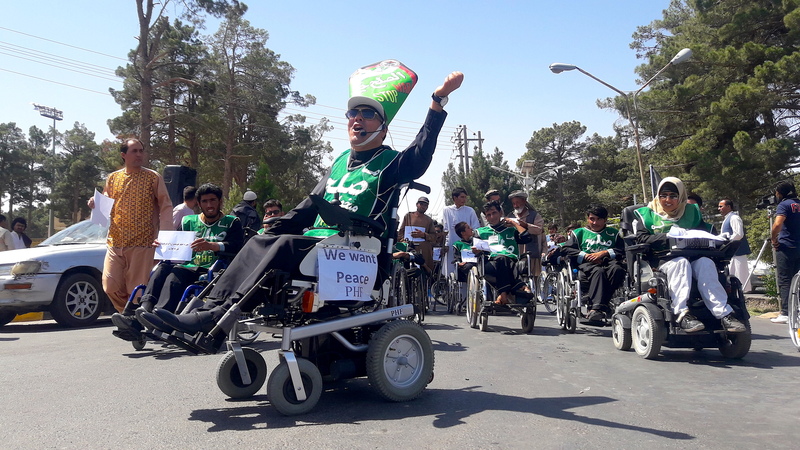 "Peace is the demand of every Afghan citizen, including children and elders," said Najibullah, 45, another Herat resident, who goes by one name. "When we see images and paintings about peace in our city, it makes us more hopeful," he told Salaam Times. "Those who fight in the name of the Taliban must see these pictures -- and reflect." "Peace is a blessing for all Afghans," Najibullah said. "We want our children to go to school in peace and calm while we go to work without having to face any risk or danger." Herat resident Ruhani Rahyab, 36, appealed to the Taliban to join the Afghan-led peace process. "I am very hopeful about the outcome of the peace process and the end of the war in Afghanistan," he told Salaam Times. "I call on the Taliban to stop fighting because we, and even our fathers, grew up in war." "At the very least, the Taliban must allow the next generation of Afghans to live in peace, and [the Taliban] should sympathise with them," he said. Afghanistan's raging war and insecurity have increased the incidence of mental illness among Afghans, say doctors. An estimated 45% to 50% of the Afghan population suffers from various mental health problems, Dr. Bashir Ahmad Sarwari, director of the Mental Health Department at the Ministry of Public Health, told Salaam Times. "Most of them are suffering from mental illness due to the negative impacts of war," he said. However, the wall paintings and messages of peace in various parts of Herat city represent an important tool to help reduce stress and psychological pressure in society, he said. Such images and paintings are needed to communicate effectively to a large part of the community because of the low literacy rate in Afghanistan, said Muaydulhaq Muwahedi, a psychologist in Herat Province. "Chief among the causes of mental illnesses in Afghanistan, including Herat, is the war [itself]," he told Salaam Times. "We declare war as the first and foremost relevant cause of mental problems, followed by issues related to family, poverty, unemployment and illicit drugs." "Pictures and paintings containing peace messages in Herat city bring a sense of hope to the public and make it optimistic about the future," he said. In Herat, the Taliban are ready to negotiate peace but continue fighting because of pressure from the militant group's leaders and from their external supporters, according to Mawlawi Ghulam Sarwar Barakzai, chairman of the Herat Provincial Peace Council. "The Taliban are ready for peace in Herat Province. [They] are forced to fight under pressure from their leaders," he told Salaam Times. "The Taliban demand some conditions that we cannot accept, and likewise, some of our [Afghan government] conditions and requirements are not acceptable to them," he said. "Nevertheless, peace talks are proceeding between us and the Taliban, and we are very hopeful. The Taliban say that if [their] elders accept [the conditions, they] will not fight even a minute longer." "The fighting in Herat districts has drastically declined," Mawlawi Barakzai said, adding, "The peace process today is supported by the [Afghan] people more than ever." 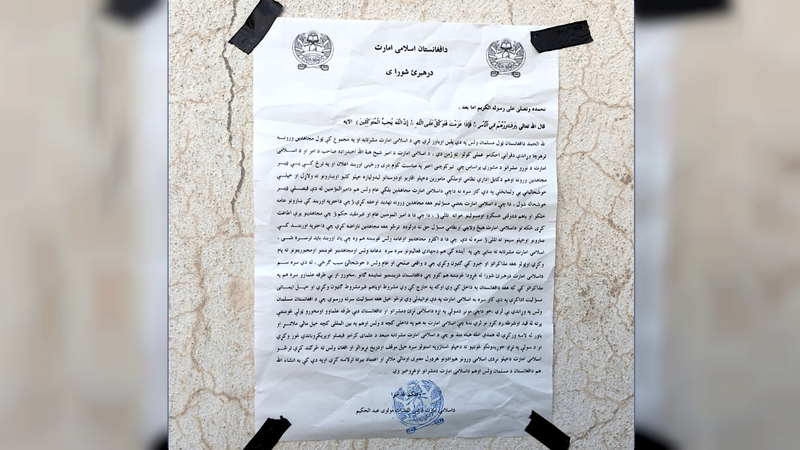 The Taliban "have fired several commanders and district chiefs in Herat and replaced them with others from Kandahar and Helmand provinces", said Herat provincial Governor Muhammad Asif Rahimi. "I have the list of their names," he told Salaam Times. "Seven Taliban commanders and leaders, including the group's shadow governor for Herat, have been fired and replaced. The Taliban leadership has stated that they are the ones who won't fight." "The fact is that some of the Taliban commanders and district governors in Herat were not fighting," Rahimi said. "In fact, many Taliban members do not want their province to be destroyed and their people to be killed." Afghans have the right to live in peace and the Taliban have no justification for killing them, religious scholars say. "Allah has said and stressed in the holy Koran to maintain peace among Muslims -- the Taliban should, therefore, not enter into peace discussions and dialogue with other countries," Sayed Mohammad Shirzadi, director of the Herat provincial department for religious affairs and the Hajj, told Salaam Times. "How is it even possible that Russia -- a country that killed [hundreds of] thousands of our compatriots [during the Soviet occupation of Afghanistan in the 1980s] for the crime of believing in a religion -- is now worried and concerned about the Afghan people and wants to host peace negotiations?" he said. "By falling into the arms of Russia, the Taliban have exposed the illegitimacy of their so-called jihad," Shirzadi said, criticising the Taliban's agreement to participate in a Moscow-led international conference that Moscow postponed after Afghanistan and the United States refused to participate. "The Taliban should use the instructions of Islam regarding peace and should not fall into enemies' arms for reasons like selfishness and hunger for power," he said. 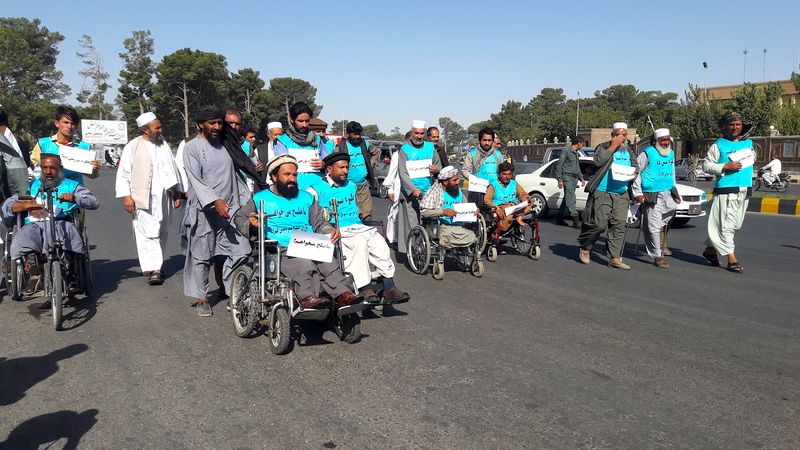 More than 100 citizens, many disabled as a result of war and terrorism, joined the symphony of voices calling on the Taliban to join the peace process.